Early in 2006 I was looking through the Hancock’s of Paducah catalog I had received that day. I poured over every page not wanting to miss a thing. 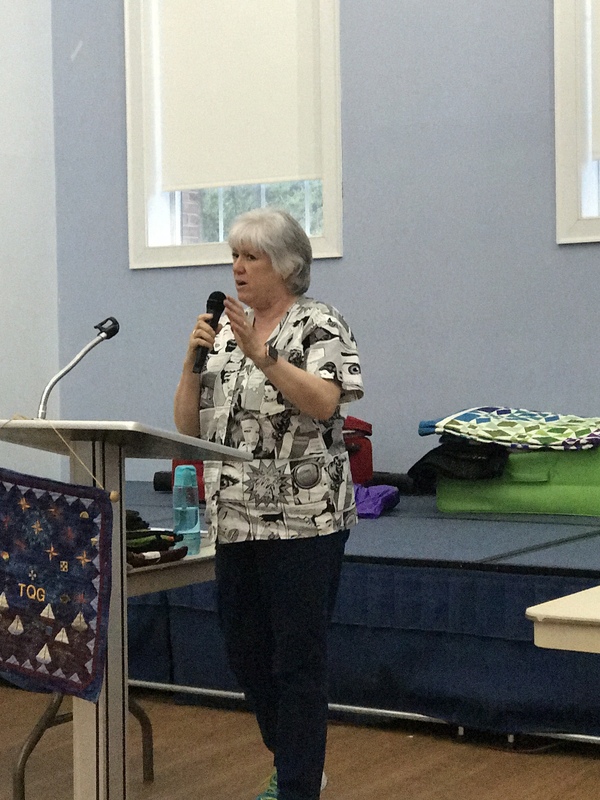 I got to section where the new books were being offered…and there it was “One Block Wonders, One Fabric, One Shape, One-Of-A-Kind Quilts”! I was intrigued and ordered it right away. I couldn’t wait for it to arrive. When I got it I immediately went shopping for fabric. I attacked the online fabric sources and ordered several fabrics. I read the instructions over & over. I must admit I struggled with section on “Aligning the Fabrics”. But I didn’t give up until I figured it out. When I designed the first block I literally jumped for joy! 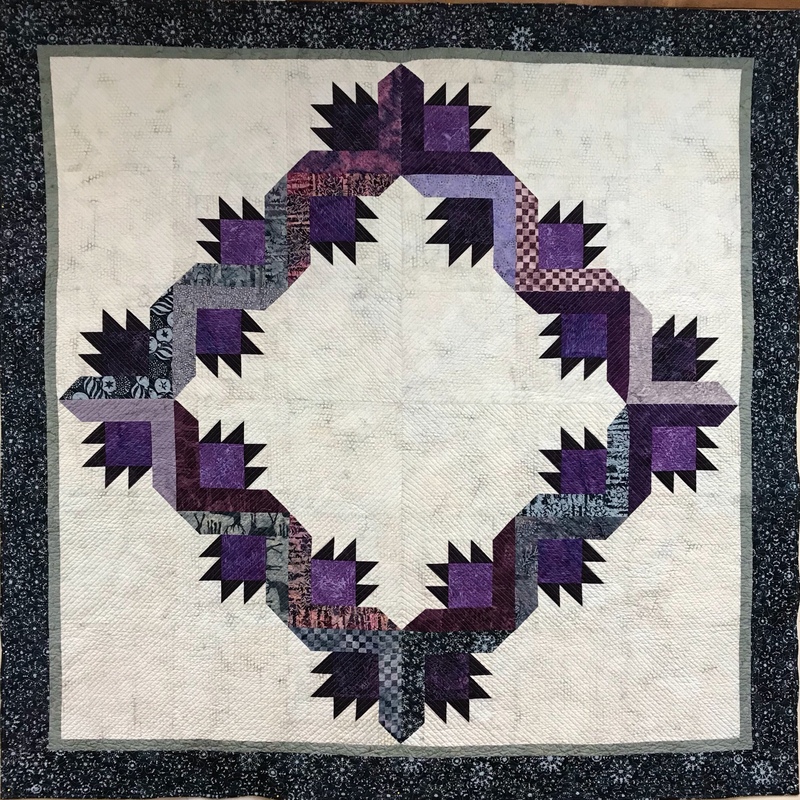 I will admit, I was so excited I sewed three hexagon’s together and then sewed the other three hexagon’s together, and the proceeded to sew the halves together. I learn everything the hard way! A little “un-sewing” and I was on my way. When I got all my hexies on my design wall I almost hyperventilated. I was so excited I took pictures and emailed them to every quilter I knew (this was before Facebook). This was my first One Block Wonder (OBW), “Schwarzy”s Garden made April 2006. I cut my first strip set the wrong size. But I didn’t let that deter me. I cut the next five strips sets correctly and used the first strip to make small hexies for the border. 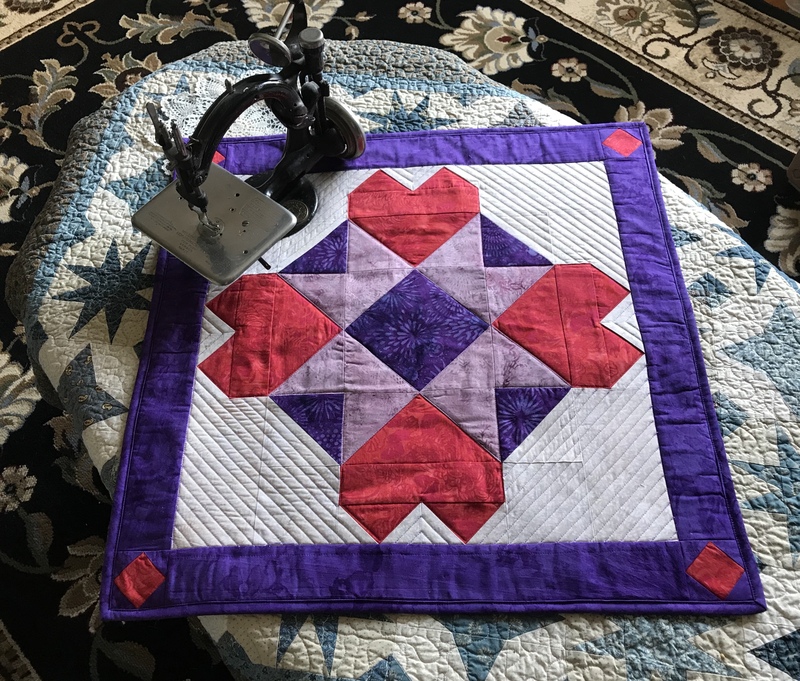 I entered 2 OBW’s in my local quilt show and have been teaching how to make them for 11 years now! I have had a love affair with this process ever since. Sixty-two One Block Wonders later and I have the privilege and great honor to have two of my OBW’s included in Maxine Rosenthal’s & Linda Bardes newly released book “One Block Wonders of the World”! I am so proud to be included in this collection of outstanding OBW’S! This book is awsome! 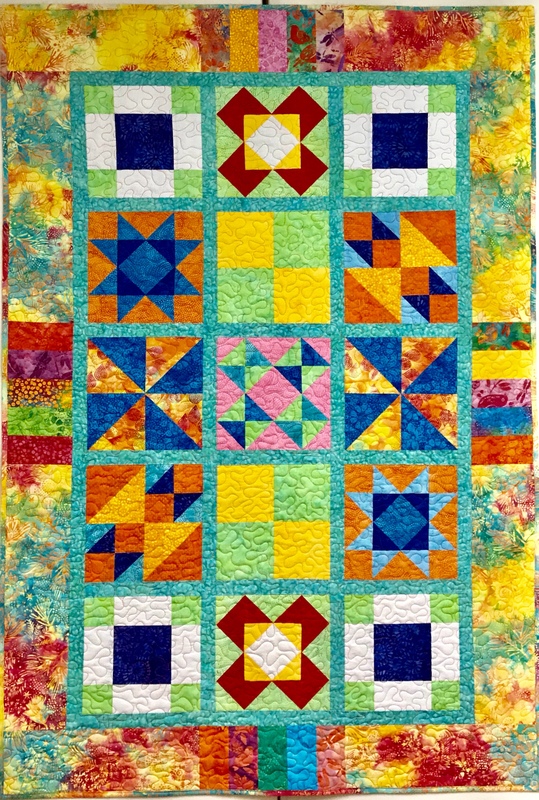 In case you dont know, there is a group on Facebook called “One Block Wonder Quilt Forum”. We are fast approaching 10,000 members. Linda Bardes is one of the group’s organizer’s with a great deal of help from Kathy Gannon. The people in this group are off the chain creative. I am always amazed with what they come up with. If you have not picked up your copy of One Block Wonders of the World, dont delay! 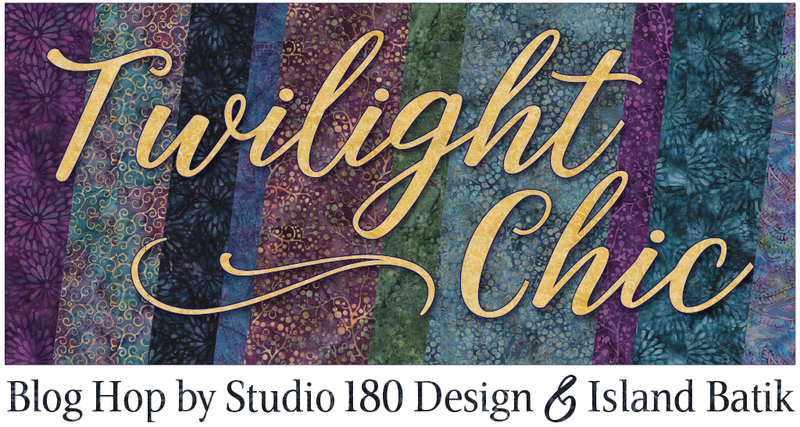 It is available on Amazon at CT Publishing and your local quilt shops. If you don’t have Mazine’s other books, you need them! The first book introduces you to the process. The second still covers the process but introduces you to cubes. The third, gives you the best recipes for cubes. All 3 book give fabulous design ideas. I have 3 OBW’s cut out and another 19 waiting to be born! 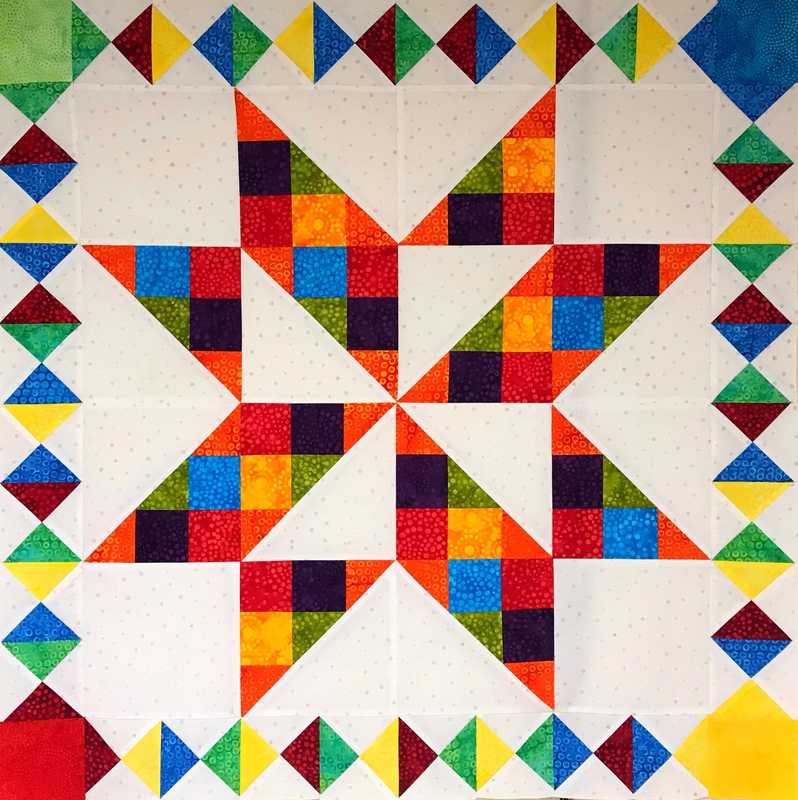 This entry was posted in One Block Wonder and tagged OBW's, One Block Wonders, One Block Wonders of the World, quilting, Quilts on October 10, 2017 by ifthesethreadscouldtalk. I had the most wonderful weekend! I was privileged to teach a One Block Wonder (OBW) workshop at The Strong House Inn in Vergennes, Vermont. The women that attended this workshop were nothing less than amazing! I referred to them as The League of Extraordinary Women! 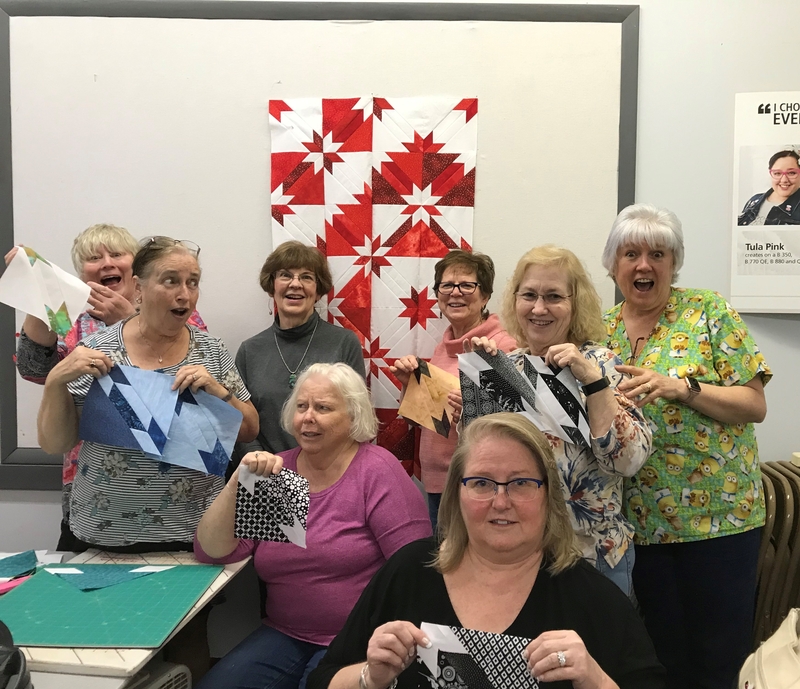 They arrived late afternoon on Friday and by noon Sunday each and every one of them had their OBW quilt blocks cut, sewn and tops designed! Wow, were they committed! We had so much fun! The Strong House Inn was a great venue. It is a beautiful historic Inn in Vergennes, VT. You can see by the pictures how pleasant it was. The staff is very attentive, it is a wonderful place for a quilt retreat. Thank you Mary Bargiel & Strong House Inn for a great OBW Workshop/Retreat! This is Tina and her beautiful OBW, everyone was coveting it! 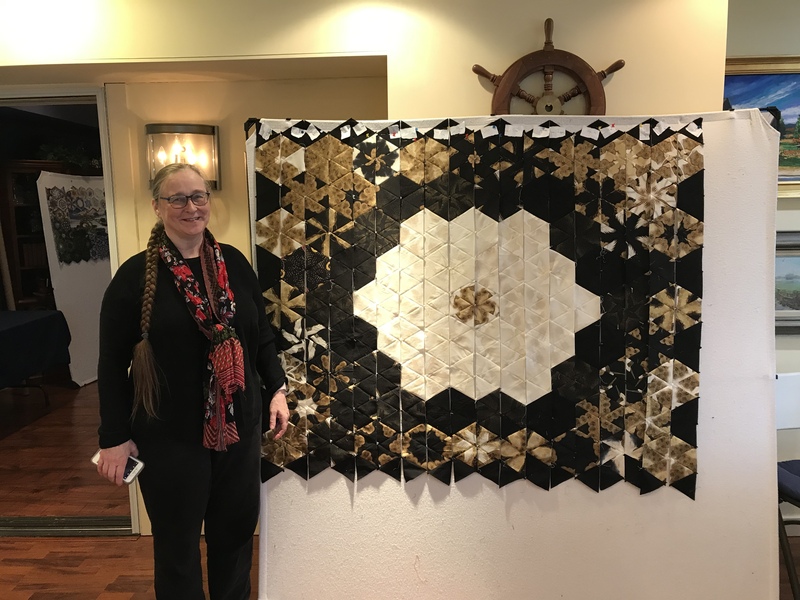 Tina owns Vermont Quilter’s Schoolhouse Quilt Shop in Troy, VT.
April’s OBW was another hit! Linda’s was so much fun! Jane’s OBW was awesome. Her fabric has birds on it. We tried to fashion a tree from the dark blue blocks, but it has been interpreted as a large bird! 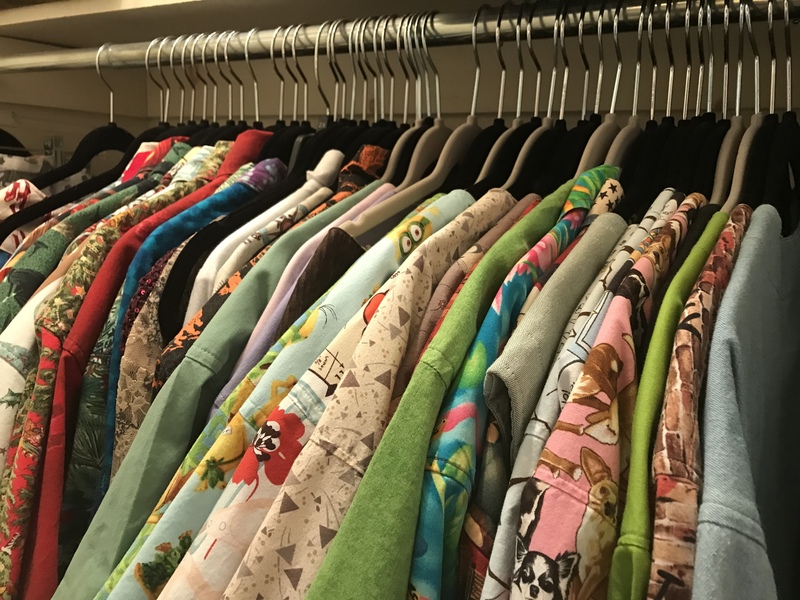 Anita’s fabric had colorful butterfly’s, it was like lightning in a bottle. Carol made a stunningly beautiful OBW. From left to right: Carol, Jane, Pat, Mary Bargiel (Innkeeper) Jackie (Teacher), Linda, April, Tina, and Anita. Thank you ladies for a memorable weekend. 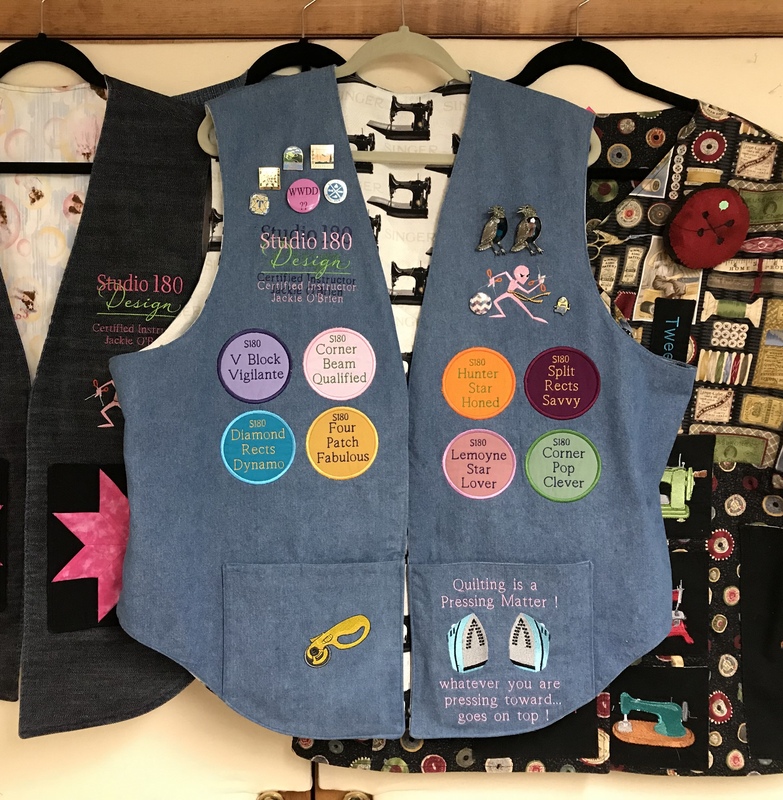 This entry was posted in One Block Wonder, Strong House Inn and tagged OBW's, One Block Wonders, quilting, Quilting Retreats, Quilts on April 26, 2017 by ifthesethreadscouldtalk.